Conflicting reports have emerged over Christian-Muslim tensions in a remote Pakistani village, after an illiterate Christian cleaner was accused of blasphemy. 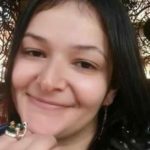 However, international media reports of a Muslim mob attacking the local Christian minority are largely exaggerated and apparently based on rumours. Several Muslims from the area deny recent reports that Christians had been told to convert to Islam or leave the village. Police deny any tensions in the village, Chak 44, which has only about 35 Christian family homes among about 2,000 Muslim homes. The Christians are mostly farmhands, or work as bonded labourers or *atharhi. However, despite all these denials, a small police contingent is still permanently deployed to deal with incidents, as World Watch Monitor witnessed when visiting the village this past weekend. A scuffle between 30-year-old Imran Masih, a Christian resident, and work colleagues, took place on 19 April in the village near Mandi Bahauddin, an agriculturally rich part of the Punjab, 170km south-east of the capital, Islamabad. To our best knowledge, no fatwa has been issued against Imran and no application for registration of a case against him has been submitted to the police. Several people said that the scuffle broke out over a video of Samie Samson, a fiery preacher from Pakistan now in the US, who posts anti-Islam videos in Urdu on YouTube. Others, who requested anonymity, said that Masih had an argument about religion, while drinking alcohol with a Muslim. Still others said Masih was in a relationship with a Muslim widow, and that this angered his workmates. The top Pakistani newspapers in English, such as “Dawn”, reported that land grabbers were behind the tensions. However, the situation in the village only became tense on 6 May, during Muslims’ Friday prayers. Mandi Bahauddin District Police Officer (DPO) Raja Basharat told World Watch Monitor that the police unit had been deployed since then, when an emergency call was made by Christians, asking for security. Amir Yaqoob, a Christian resident of the village, told World Watch Monitor by phone from an undisclosed location that he had made the call to the police after a Muslim resident, Dr. Ashraf Faizi, warned him that he had heard Muslims in the village mosque discussing an attack on Christians. “After Friday prayers, Chak 44 Jamia Mosque Committee was discussing Imran Masih, who had been accused of committing blasphemy against the Prophet of Islam. There, Dr. Faizi told me, he tried to tell them that no such thing had happened, but that he was beaten up by the committee members and thrown out of the mosque. He came straight to me and told me to leave the village, as they were planning to burn houses of Christians,” said Yaqoob. However, DPO Basharat told World Watch Monitor the situation became tense only because Dr. Faizi falsely spread the rumour that Muslims were planning to attack Christians after Friday prayers. Amir Yaqoob said Imran Masih worked as a sweeper in Bosal Rural Health Centre, close to the village. “On 19 April, Masih handed his cell phone to his senior, so that he could finish his duty. When he came back, he told me his colleagues were watching an objectionable video on his phone. They told Imran that he had an anti-Islam video and Muhammad Bilal Ahmed, who ran a pharmacy, attacked him,” said Yaqoob. “Realising the gravity of the situation, Masih told them that he had nothing to do with the video and smashed the cell phone right in front of them. The matter was temporarily settled, but Bilal went all the way to Sargodha district [100km away], to obtain a fatwa against Imran, which is why Imran fled from the village only three days after the incident,” added Yaqoob. Bilal went all the way to Sargodha to obtain a fatwa against Imran, which is why he fled from the village only three days after the incident. “To our best knowledge, no fatwa has been issued against Imran and no application for registration of a case against Imran [for blasphemy] has been submitted to the police,” said DPO Basharat. Mosque committee man Saleem Bhatti told World Watch Monitor “the Dawn report is not very reliable, that land was the prime motive behind this unrest. These houses were allotted to the Christian community during Zulfiqar Ali Bhutto’s time in 1970s; they are the owners of these houses. Also, theirs is not the prime location in the village”. 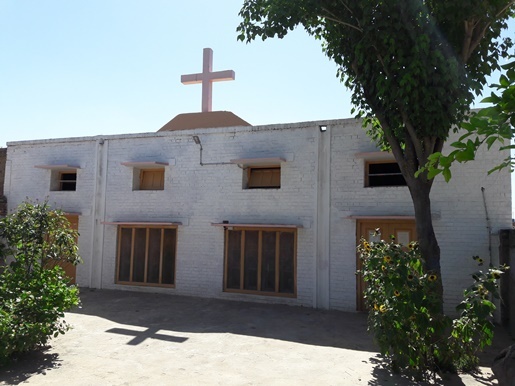 Yaqoob confirmed that most of the houses are already owned by the Christian community, while others were allotted to them by Zulfiqar Ali Bhutto’s government. 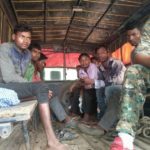 Yaqoob said the entire Christian population of the village were very thankful to the police because, before they arrived, they were living in fear. “Peace was only restored in the village after police intervention, and now those who were threatening are bent upon bringing peace,” he said. However, the police could still take further action. Supreme Court lawyer Saif-ul-Malook told World Watch Monitor that a criminal case should have been lodged against those who incited violence against the Christians under the judgment of the Supreme Court, which reads: “In all cases of violation of any of the rights guaranteed under the law, or desecration of the places of worship of minorities, the concerned law enforcement agencies should promptly take action, including the registration of criminal cases against the offenders.” (19 June, 2014). World Watch Monitor understands that around 80 per cent of the villagers follow the moderate Barelvi school of Islamic thought. 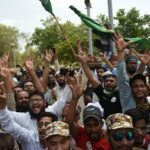 There are reports that Sunni Tehreek, which has in recent years gained a reputation for taking a hardliner stance on the issue of blasphemy, was actively involved in highlighting this case. As World Watch Monitor has reported many times, in Pakistan, a general intolerance of religious minorities and stereotyping of them as being anti-Islam, plays into violence against them. The whole incident, confusing as accounts are, has left a big impact on the community, as 25-year-old Asif Ishaq told World Watch Monitor. *Under the atharhi/seipi system, Pakistani Christians, historically forced into degrading occupations and often uneducated, are forced into bonded labour by advance loans. These loans are used to keep them as bonded labourers because they never earn sufficient sums to pay off this debt.